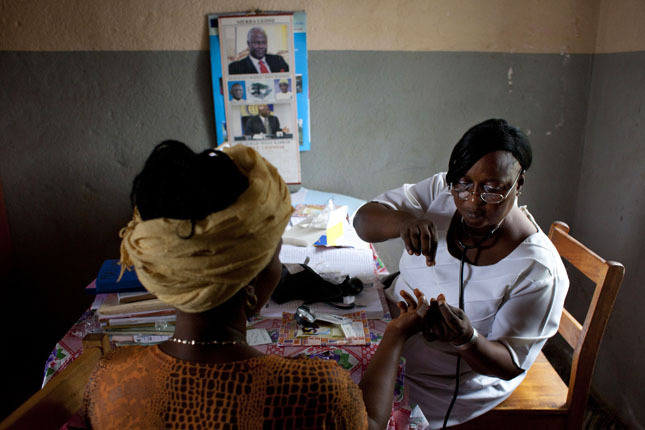 Photo: Midwife Zainab Manserray, who runs a clinic in Sierra Leone. Courtesy of Abbie Traylor/H6 Partners. “Midwives play a vital role in the health care of mothers and babies,” said Samara Ferrara, a midwife from Mexico, at the Wilson Center on February 27. But in many parts of the world they face a confluence of stressors that make working conditions miserable: low and irregular pay; harassment and disrespect from both patients and doctors; and little supplies, training or say in the policy dialogue about maternal health. While there is never any excuse for abusing patients, such conditions can lead to poor quality of care for mothers and newborns, as well as burn out among midwives themselves. After surveying 2,470 midwives from 93 countries, they published the results in Midwives’ Voices, Midwives’ Realties. In total, more than a third of those interviewed said they experienced harassment, lack of security or fear of violence. Fifty eight percent felt they were treated with respect, said Mary-Ellen Stanton, senior maternal health advisor at USAID’s Bureau for Global Health. “This report is not just about problems; the midwives have identified solutions, and we need to look at them carefully and see what can be implemented,” said Stanton. It’s hard to overstate the importance of midwives to maternal health outcomes, said Frances Day-Stirk, president of the International Confederation of Midwives. According to the UNFPA’s 2014 State of the World’s Midwifery Report, out of the 73 countries that account for 96 percent of maternal deaths worldwide, only 4 had the potential midwifery workforce to deliver essential interventions. There is growing evidence that midwives help reduce maternal mortality rates in a number of ways, including by assisting with family planning and distributing reproductive health services, providing prenatal consults and attending births and leading community-based interventions to educate women about normal birth processes and prevent complications. Some call this the “midwife effect.” Investing in midwifery and listening to midwives can result in a 16-fold return on investment, according to the World Health Organization. But not every health system is embracing midwives. Twenty years ago, almost half of all births in Mexico were attended by midwives; now the rate is down to two percent, said Ferrara. Most births are now attended by physicians in private clinics and “over-medicalization” is the challenge. From 2006 to 2012, almost 50 percent of births in Mexico were planned or emergency cesarean births, a high rate for such a major surgery than can have significant effects on the mother and newborn. In Malawi, Nancy Kamwendo, a national coordinator for White Ribbon Alliance with more than 10 years of experience working in the midwifery field, said the problem is not enough midwives to meet demand. Even in the best districts, the ratio of childbearing women to midwives may be more than 800 to 1 (the World Health Organization recommends a ratio of 175 to 1). In addition, midwives work on average more than 58 hours a week, Kamwendo said, go months without being paid and operate in unsafe conditions that require them to travel long distances. The report emphasizes that when midwifery is sidelined as “women’s work,” its value is diminished, midwives face moral distress and burn out and the quality of their care declines. Some two-thirds of the global health workforce are made up of women, and on a certain level the challenges facing midwifery – professional, socio-cultural, economic – are deeply rooted in gender inequality, said Fran McConville, technical officer of midwifery for the World Health Organization. With this context in mind, one of the major goals of the survey was to give voice to midwives, tabulating their perspectives on issues such as vulnerability to physical and sexual assault, infrequent and inadequate wages and hierarchies of power in which midwives are not respected by senior medical staff. The sheer number of respondents is proof of a clear desire to share their stories, said Day-Stirk. Getting more midwives into decision-making positions is the ultimate solution to the disconnect between demand and action, said McConville. Providing better education and training would attract talented and ambitious young people. Strengthening communication networks between midwives, meanwhile, would amplify feedback from young midwives so concerns can be taken up by senior midwives. McConville also recommended government and non-government organizations working in maternal health address at least two of the overlapping professional, sociocultural and economic barriers identified in the survey. 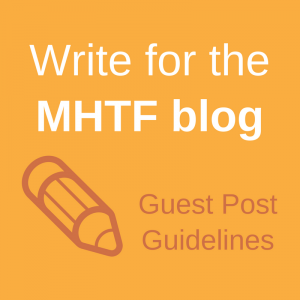 Organizations like the World Health Organization have become more sensitive to the challenges around midwifery, balancing concerns about quality of care for patients and quality of life for midwives. And reports like Midwives’ Voices, Midwives’ Realities and The Lancet Maternal Health Series have helped people understand how to talk about it. 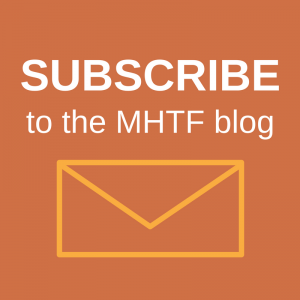 Read a summary of the “Midwives’ Voices, Midwives’ Realities” report on the MHTF blog.